Will You Settle For “Suitable”? Or Do You Want Better? 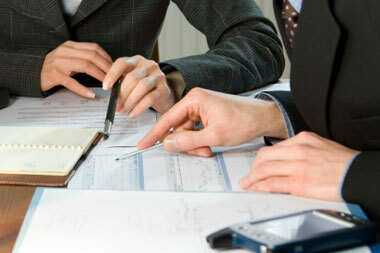 As a Registered Investment Adviser, our firm is held to the highest fiduciary standards. But brokers and many other financial advisers are not. Would you support a rule requiring all brokers and other financial professionals to provide advice that’s in an investor’s best interest — not their own? It may surprise you, but many brokers and their trade associations oppose such a rule. Advisers who are Registered Investment Advisers, like our firm, are already held to the higher “fiduciary standard.” That means we have to put the client’s best interest ahead of everything else. But brokers are subject only to the lower “suitability” standards, leading the White House to call for stricter rules for brokers and other non-fiduciary individuals who advise investors on their investment strategy. “Believe it or not, the great majority of financial advisers are not fiduciaries,” says Peter Mallouk, author of The 5 Mistakes Every Investor Makes and How to Avoid Them: Getting Investing Right. Unfortunately, most investors are completely unaware that Registered Investment Advisers and brokers are regulated differently and are subject to different legal standards. The Takeaway: Make sure you ask your advisor whether he or she acts as a fiduciary when providing you with investment advice. Only a fiduciary must put your interests first.